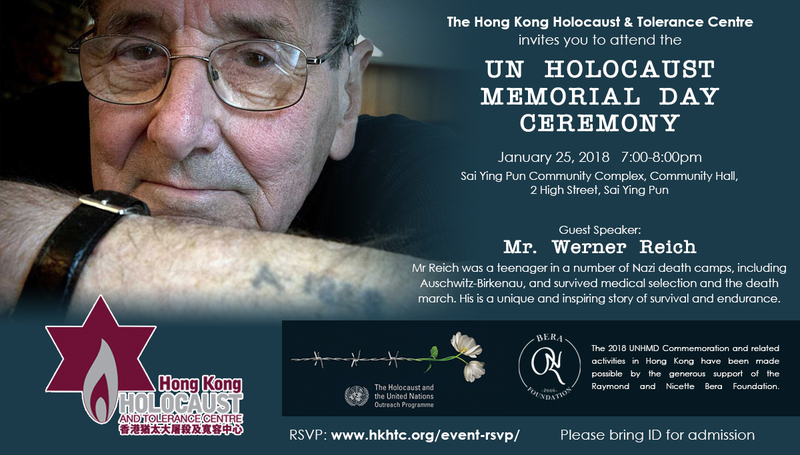 HKHTC marked the International Holocaust Remembrance Day on 25 January 2018 with a moving, well-attended ceremony at the Sai Ying Pun Community Hall. 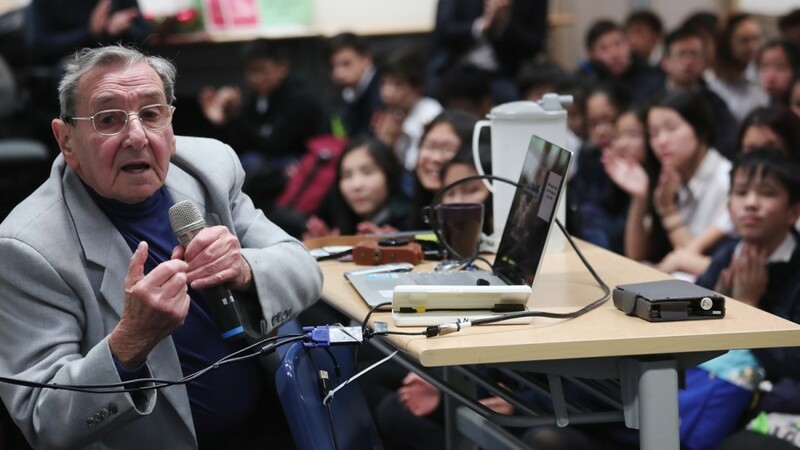 With this year’s theme, “Holocaust Remembrance: Resistance and Resilience,” the commemoration was very successful with nearly 300 local Chinese and Jewish community members in attendance. Feedback was highly positive. Over thirty diplomats and dignitaries also attended, including Consuls General representing many European countries, the United States and Canada. 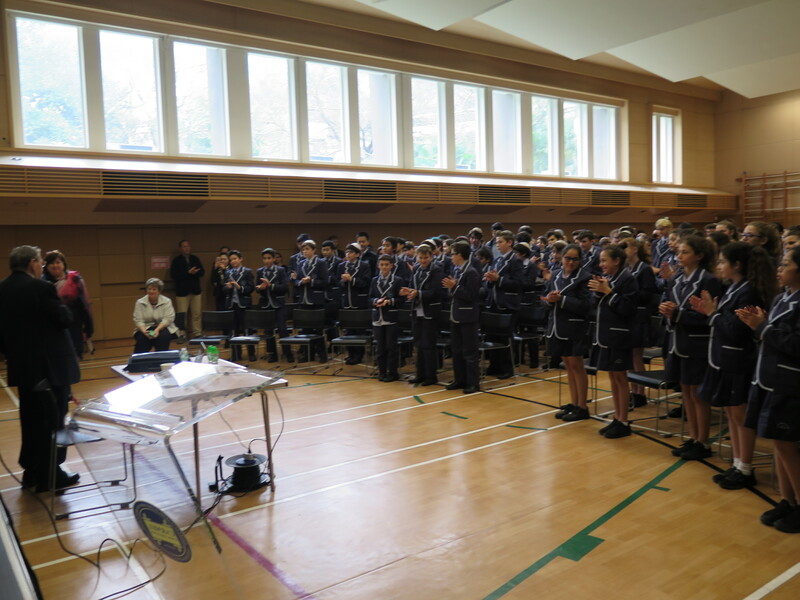 The Under Secretary for Home Affairs, Mr Jack Chan, represented the HKSAR government and delivered an excellent speech at the beginning of the ceremony. 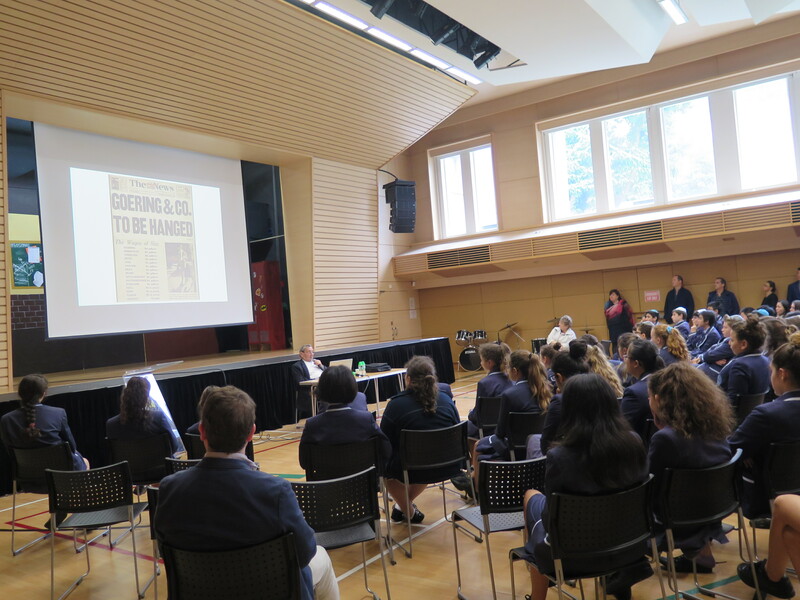 HKHTC was deeply honoured that Mr Reich, a 90-year-old survivor of multiple concentration camps and the infamous death march, travelled from the United States to Hong Kong to share his story with the Hong Kong public. 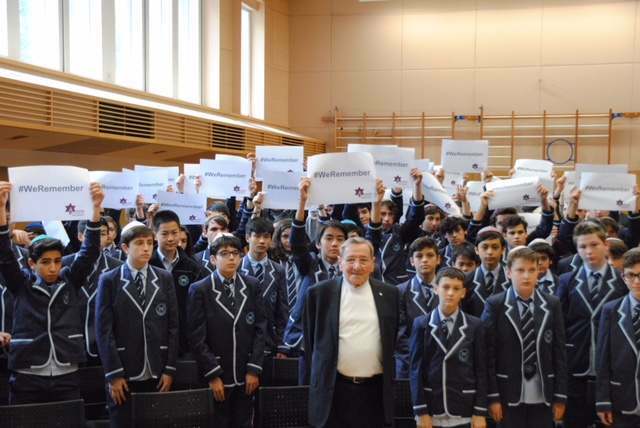 In addition to giving a keynote speech at the UNHMD ceremony, Mr Reich also visited different local schools and universities to share his experiences with young audience.